Store-bought pizza dough helps cooks streamline the pizza-making process. With the crust already prepared, you have the freedom to concentrate fully on creating a delicious pizza with a bountiful array of toppings and cheese. 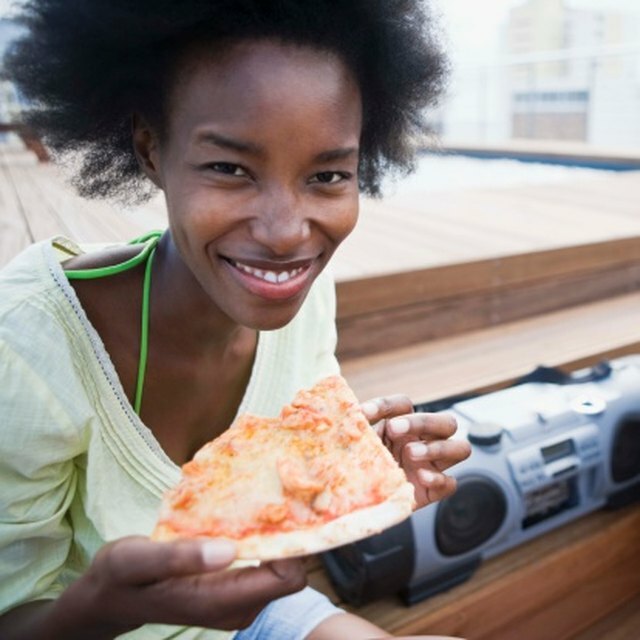 Depending on the pizza crust you purchase, you may only need to unroll it onto a pizza pan or you may need to spread it yourself onto your pan. Give your pizza crust a little extra lightness by letting store-bought pizza dough rise for a short time after you spread it into your pan. Defrost the pizza dough, if necessary. Follow package instructions for defrosting, either placing the dough in the refrigerator or allowing it to thaw at room temperature for the recommended amount of time. Open the pizza dough and remove it from the packaging. Grease or oil the pizza pan you will use to bake the pizza. Brush vegetable or olive oil evenly over the pizza pan. Spread the pizza dough over the pan, either unrolling it or spreading it with your fingers to cover the entire pizza pan. Pinch the edges of the pizza dough to form a small crust, if you wish. Add the pizza sauce and the other toppings over the pizza. Meat, olives, peppers, onions, mushrooms and cheese are standard pizza toppings. Cover the pizza evenly with ingredients. Place the prepared pizza in a warm spot on the counter or place it into the oven to allow the dough to rise for a short time in a draft-free environment. A long rise is not necessary -- allow the pizza to rise for 15 to 20 minutes. This is just enough time to give the dough a little extra lift. Bake the pizza according to the package recommendations that accompanied the pizza dough. 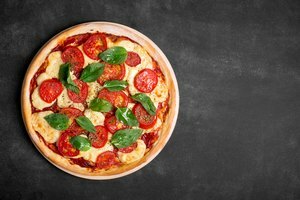 By adding the sauce and toppings first before allowing the pizza dough to rise, you can preserve the rise in the pizza dough. 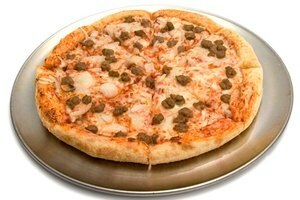 If you spread the dough and then allowed the dough to rise before adding the sauce and toppings, the dough would deflate as you added the toppings. Because store-bought pizza dough contains active yeast, it will automatically respond to warmth by rising.